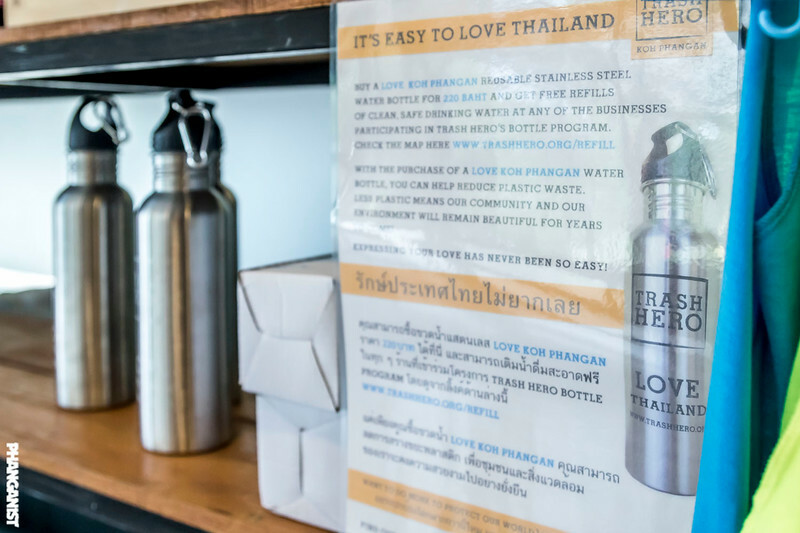 Phanganist.com and Phanganist Hostel are happy to say that we now have stock of Trash Hero Bottles for you to buy and if you are part of the scheme, meaning that if you have a Trash Hero bottle, you can come and fill up with water for free! Trash Hero was born in 2013 and is now a registered non-profit organization. It started by a group of local and foreign friends hanging out together on Koh Lipe (Andaman Sea). As they all loved with the island and its beaches, they wanted to support the island in keeping its beauty. Thailand, such as Koh Lanta, Ao Nang or Chiang Mai (14 chapters total) and also to other countries. The main mission of Trash Hero is to raise awareness (and thus make it easier for all of us to change our own behaviour) by actions which help to remove existing and reduce future waste. 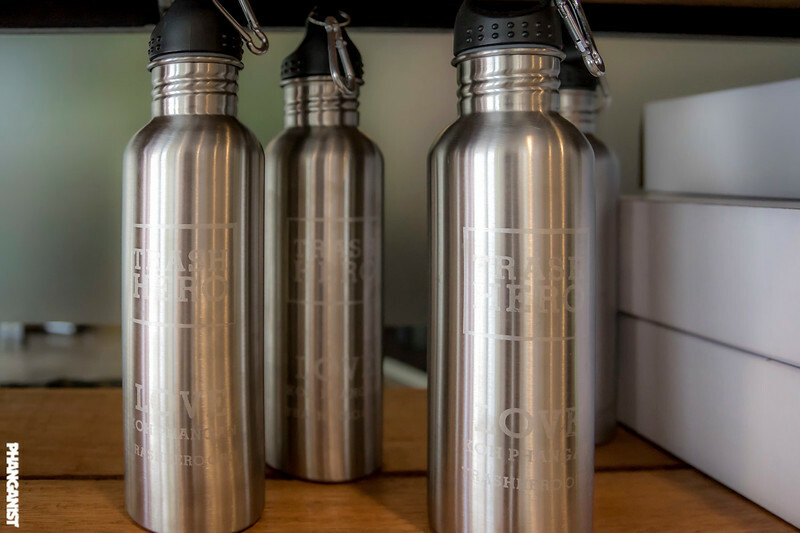 One of these actions is to spread the use of refillable stainless steel bottles, so that people will not buy single-use plastic bottles. These bottles are inexpensive, very practical, a great souvenir and good for the island’s environment as they help to reduce the use of plastic bottles. 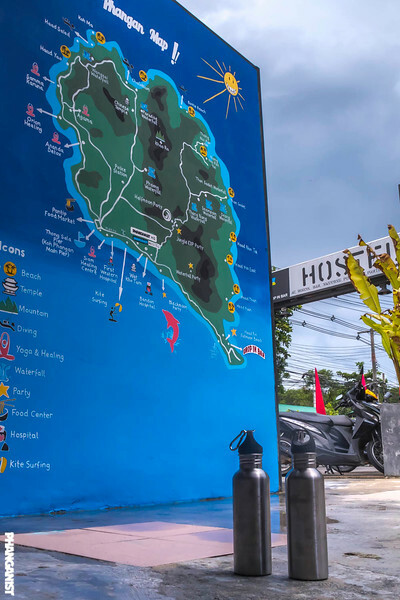 You can find us at Phanganist Hostel in Baan Tai. If you purchase a Trash Hero bottle then you can refill it with drinking water for free at over 40 places on the island so you will never need to buy water in plastic one use bottles! 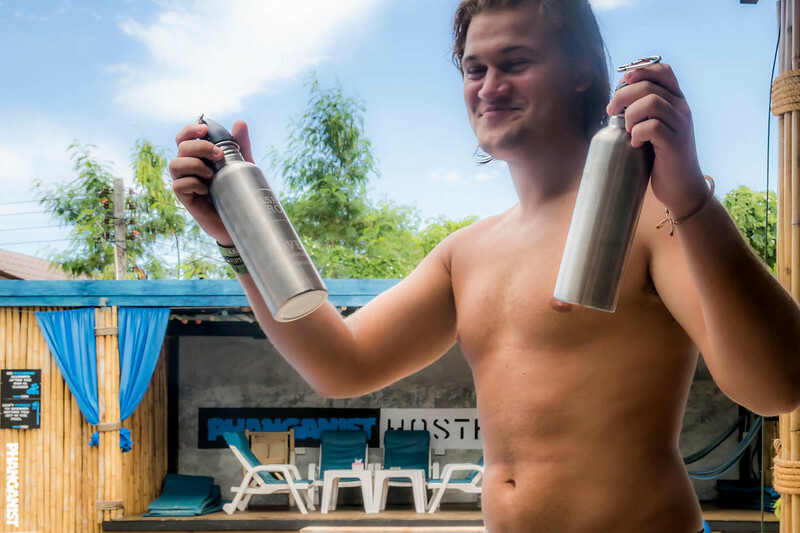 Bottles cost 220 Baht and are a great useful addition to your backpacking or travelling kit!